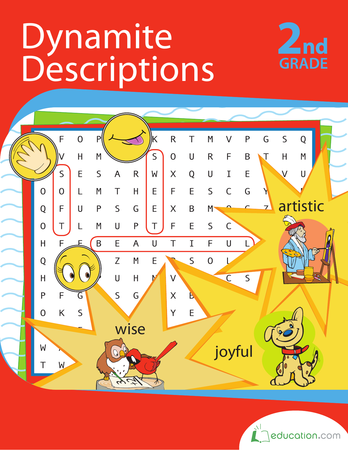 Here's a great activity to get your second grader's mind going and creativity in action! He'll write a story to go with the picture and even get to color too. Time to play detective! Can you describe what happened int his scene, just by looking at the picture? Practice making inferences by looking at context. 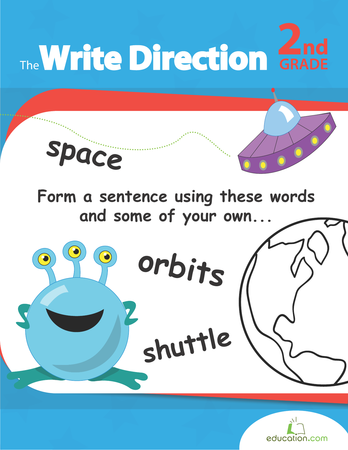 With this worksheet, your student can rearrange these nouns and verbs into complete sentences, building creative writing skills. Introduce your third grade writer to sensory words with this worksheet that asks him to sort each adjective under the correct sense. 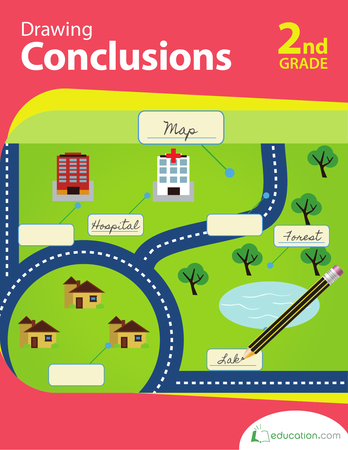 Students can start a personal narrative with a clear problem and solution by using this activity to organize their story. 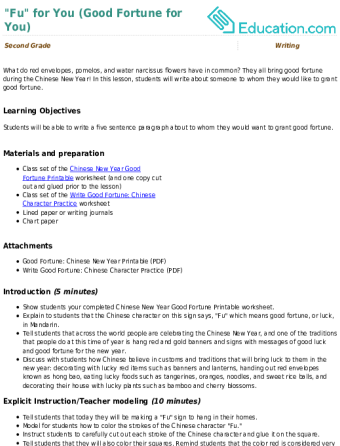 This handy graphic organizer will have students consider various aspects of their problem and solution, and how it made them feel. It's storytelling time! 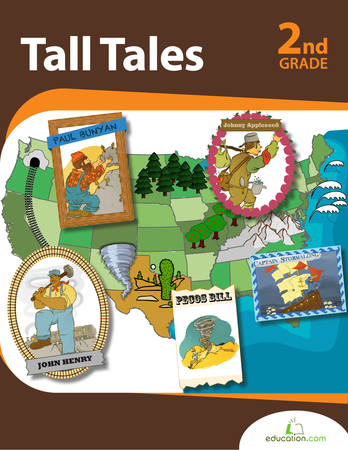 Bring the magic of tall tales closer to home by creating a tall tale based on someone your child knows and admires. This baby dinosaur needs help forming his first sentence! 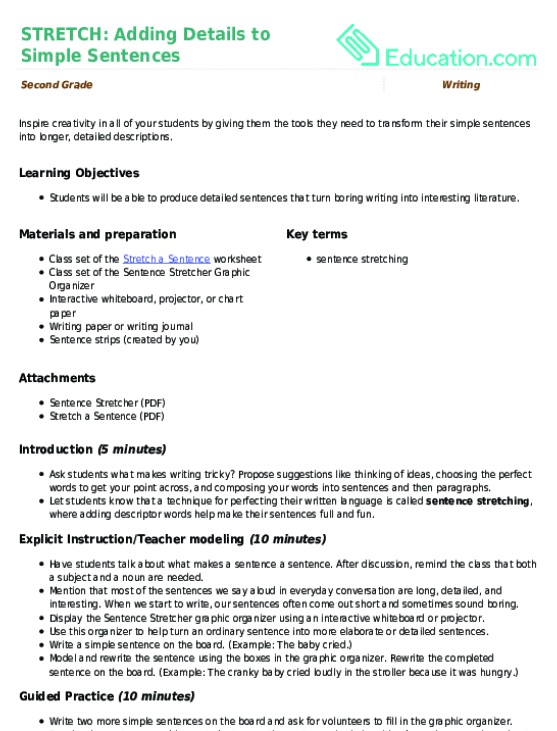 Your second grader can build reading and writing skills with our beginning sentence writing worksheet. 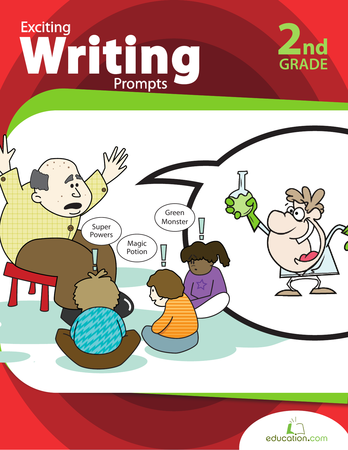 Conjure some creative characters with this worksheet that will help kids develop great descriptive writing skills.